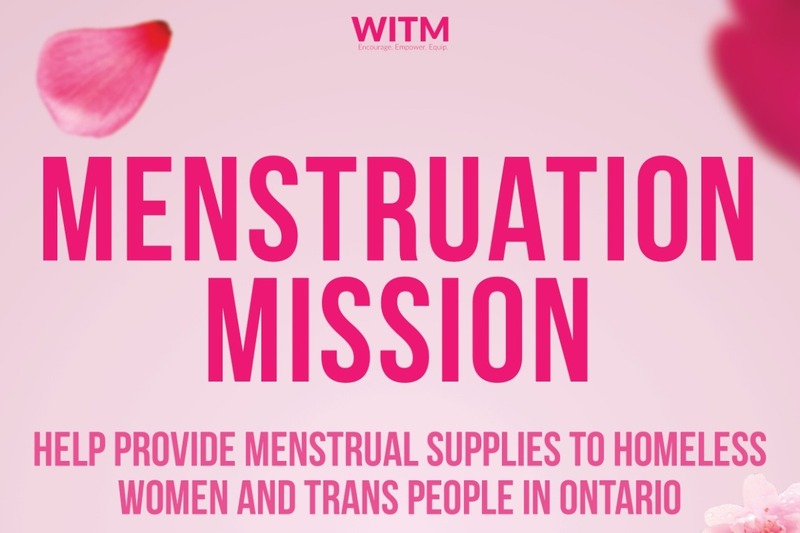 Menstruation Mission is a non-profit campaign designed to help provide menstrual supplies directly to homeless women and trans people in Ontario. Feminine hygiene products are essential, but not cheap. Help us alleviate period poverty and spread awareness about menstruation! 100% of funds will be used to purchase more products for donations and care packages. - Donate unopened boxes of feminine hygiene products such as tampons, pads, and hygiene wipes. - Donate unopened packages of underwear. - Donate in person at the WITM office or online through gofundme. Women in Information Technology Management (WITM) will also be matching donations up to $500.